Fully insured Member of The British Acupuncture Council and Register of Chinese Herbal Medicine. PCOS, Failed IVF, Infertility... And Over 40! In early 2017 I was diagnosed with an autoimmune disease (rheumatoid arthritis), which at one point in June 2017 had me struggling to walk and my wife had to assist me in getting dressed at the young age of 46. From July I not only started taking the medication prescribed by the Doctors but also changed my diet significantly, took supplements from a local health food store, went to the gym most mornings and also started acupuncture with Jo. In April 2018, I was back playing cricket for Oakham and at 47 had one of my best days out in the field ever….needless to say, Jo has been instrumental in the transformation of my health, well being and ability to get back to playing a sport I love. I could not recommend Jo and her expertise highly enough. C, L; Company Director, Oakham. 2018. I came to see Jo on the back of my husband who had been suffering from acute sickness and stomach issues. After successfully treating him I was curious as to whether the symptoms that Mum’s can often put down to 'stress and hormones' and my diagnosis of an under active thyroid post child birth could be addressed too? Jo’s approach was and still is holistic, sensible, sensitive and academic (for the cynics who don't like to look further than conventional medicine). Her thorough research and understanding of Chinese Medicine is based on years of study and not faddish theories. Jo looks at your whole well being and lifestyle before addressing the correct treatment. Her gentle bedside manner and sympathetic consultations provide the right environment to treatment. Consequently I have much more energy, less anxiety, listen and manage my digestion and body with the respect it needs and which we so often ignore in this fast and somewhat frantic world. F, F; Mother, Stamford. 2018. I had devastating soft tissue injuries to my foot with unbearable pain. Because the bone marrow was compromised I was told it was going to take a very long time to improve. Since I already had experience of and an understanding of the efficacy of acupuncture, I contacted Jo George at Life Rituals to see if she felt she could offer any pain relief. She said she believed she could and it was very effective. Not a permanent solution but enough relief for almost a week at a time pain free which I simply could not have managed without and of course the huge advantage of eschewing large quantities of pain killers! Each of us is individual in our needs however, I would highly recommend Jo to anyone dealing with pain and I’m happy to report that the problem and its associated difficulties has now almost gone away. “My profound thanks to Jo for helping me uncover the cause of and to recover from my extreme fatigue and general un wellness. According to my GP my blood tests were all normal, so everything was fine! Thankfully Jo suggested a urine sample analysis which showed I had a serious deficiency in many vitamins and minerals caused by malabsorption. Armed with this information my GP agreed to further tests to determine the cause, which ended up being a gallstone restricting the bile (needed for the digestive process) from leaving my gallbladder. In the meantime, Jo treated me with acupuncture/herbs and recommended probiotics, digestive enzymes, as well as vitamin and mineral supplements to counterbalance my deficiencies. I am so grateful to Jo, a gentle, kind, compassionate person with a wealth of knowledge and expertise, whom I would highly recommend”. Having been trying to conceive for 12 months to no avail we began investigation to try identify possible causes. After 6 months, invasive tests, no explanations and having followed all the advice we were given from health professionals we still had not conceived and were beginning to explore IVF as an option, a process that I knew would not be easy, having had friends and colleagues who had been through it. Over the Christmas period I read an article on Unexplained Infertility written by Jo and after discussing it with my husband, decided to explore Acupuncture & Chinese Medicine as an option. I had my initial consultation with Jo in the January, for which I was incredibly nervous as despite well meaning intent, the health professionals I had so far visited had been quite harsh in their critics. Jo greeted me with a smile and immediately put me at ease. The initial consultation took us through my lifestyle, health and aims as well as my husband’s, who unfortunately could not attend. A couple of weeks later treatment started, consisting of weekly acupuncture sessions and daily chinese medicine teas, which take a little bit to get used to. Jo adjusted both the tea formula’s and the acupuncture dependant on the stage of my cycle and my state of health, which she determined at the start of each session. Just as importantly Jo took the time to get to know me and what I was feeling and experiencing in my day to day life. Far from feeling trepidation, I really looked forward to the weekly sessions as she really listened, empathized and gave great advice , not only my health but my stress levels improved vastly. On only my 4th full cycle since starting treatment with Jo to our great joy we conceived, we had been trying for 24 months and were elated. I continued to see Jo until I was 16 weeks pregnant when my pregnancy was well established with no complications developing. Our healthy baby boy was born in February, 1 year since I began treatment with Jo. When he was 1 week old we took him to meet Jo, who we can’t thank enough for all of her help through what was a very emotional and difficult time for us. Jo was so positive, calm and supportive, which combined with her expertise enabled us to conceive. Chinese Medicine & Acupuncture has a definite role alongside western medicine, offering what today’s busy and science based health service cannot. Equally, I cannot recommend Jo enough. We certainly will be asking for her help again in the future. I have had Crohn's Disease for more than 25 years now. Generally, it’s quiet but every now and again it will flare up without warning. It follows its own pattern and once it flares up, nothing on this earth will stop it. It has to run its course. In my opinion, and in my experience of Crohn's, there is a definite psychological element to it and that is really why I started having acupuncture. During a particularly difficult flare up about 12 years ago, when I had to stop eating and just drink fortified drinks to ‘rest’ my system, I felt I needed to take control and do something positive to help myself. I started to have acupuncture then for my general well-being, with specific attention being paid to my gut. I don’t know how it works, and don’t need to, but what I do know, is that it definitely works. For me, it’s a generally painless but powerful therapy, which has been immensely helpful for my physical and emotional wellbeing. Jo is a calm, gentle and thoughtful practitioner who listens to me and carefully plans my treatment each time I see her. For me, acupuncture is a tool to be used in conjunction with the monitoring and conventional treatment provided by my doctors. I will continue to see Jo, because I know she does me more good than I can do for myself and actually, I rather enjoy it because it makes me feel full of life. Jo came highly recommended from a friend. I consulted her with menopausal symptoms which I had been suffering for a year- mainly severe night sweats (I would change the bedding 3xnight) and perspiration would run down my face and neck during the day. Jo was clearly taking on a challenge as at that time I would have described my general health as poor due to a 15 year history of high pain medication,chronic pain and incapacity following emergency back surgery However within a few months of taking Chinese herbs and acupuncture all my menopausal symptoms disappeared and I experienced energy levels I had not seen in years. Just over a year ago I was dependent on large doses of morphine and various other pain medication just to get me through the day having been left with chronic back pain,sciatica and painful leg spasms which kept me awake every night, following surgery Annual epidurals and 2x yearly nerve blocks gave temporary reliefand on the days I could walk I needed crutches. Within 6 weeks of acupuncture I was able to sit down for the first time in 15 years and within a few months I was reducing my medication. Within a year Chinese acupuncture had enabled me to come off all medication,I no longer required nerve blocks and epidurals and visits to the Pain Clinic. I was diagnosed with MS 12 years ago. As my symptoms worsened and my faith in western medicine waivered, I started to research other treatments available to me. I have now been having acupuncture treatment for nearly 4 years. I suffer from a number of MS symptoms, however, since I have been seeing Jo, I have felt that my stiffness, neuropathic pain and my fatigue have become much more manageable. At present, I tend to see Jo every 5-6 weeks as I find if I leave it any longer than this, my symptoms escalate. The initial consultation we have at the start of each appointment is invaluable time as it is from here that Jo decides the course of my treatment for that session. Jo’s practice was recommended to me a few years ago when I was physically and mentally very run down. After some general treatments we started to focus on the peri-menopause phase of life that it is likely I am going through - something that I knew nothing about but which Jo has educated me in. Jo also provides much additional information regarding diet and the odd supplement that might be useful, as well as dealing graciously with the odd exercise related curve ball pain relief treatment that is sometimes necessary! Overall Jo’s calm manner and intelligent disposition never fail to provide me with the care and treatment I require at any given time. S, S; Mother, Stamford. 2018. Diagnosed as perimenopauasal, two years ago, age 42 – I was suffering extensive and very intense hot flushes that came with waves of despair and my periods stopped. Exacerbated by the severe lack of sleep, it almost took over my life to the point where I wasn’t functioning well at work. I swung from dripping wet to freezing cold, throughout the day and about 4-5 times a night. Wanting to tackle it in a natural way, I researched and tried everything including; stopping caffeine, drinking sage tea and taking agnes castus and black cohosh supplements. Upon adding the ‘Ladycare’ magnet, the hot flushes finally stopped and my periods returned. About twelve months ago the hot flushes crept back into my life again, but after immediately putting my previous protocol into place, I was again able to mange it back into control. Six months later however, after having stopped taking the supplements and removing the magnet, the symptoms returned. This time I wasn’t able to stem the growing severity of hot flushes both night and day, the lack of sleep and emotional despair - lots of tears! - despite trying everything that I’d tried before. I had also developed over the previous year, an irritated/weak bladder, resulting in having to get up at least 2-3 times a night. Searching for a natural answer, before almost resorting to HRT, I sought help from Jo. And Oh my goodness I’m so happy I did! She has such a kind an empathetic energy that you just know you’re in safe hands. Taking all aspects of my medical history, dietary and lifestyle habits into account, she gave me the gentlest acupuncture I’ve ever had! I started on the Chinese tea blend for a coupe of weeks, before boom! – My first nights solid sleep for months. Quite without warning, just a couple of weeks after that, I started my first period in six months. I was so happy I cried. Now on my second healthy period, and with my bladder no longer shouting to be heard, I just wanted to let other women know that there are healthy options out there, without having to resort to drugs. Jo is my hero and I feel so lucky for finding her. I hope you have the same brilliant response to whatever challenge you face. I went to Jo a few years ago seeking relief from menopausal symptoms such as hot flushes, insomnia and mood swings. I had used Chinese herbs and acupuncture before, specifically to help with fertility problems, when I lived in London (I successfully conceived my second daughter as a result). When I began experiencing menopausal symptoms, I didn’t want to take HRT, so I sought out a practitioner locally who was able to offer both acupuncture and herbs. I was lucky to find Jo. Her gentle manner immediately put me at my ease as she questioned me in detail about my symptoms and checked my tongue and pulse. I have now been taking Chinese herbs prescribed by Jo for a couple of years now, along with acupuncture every so often to check whether the herbal ‘recipe’ needs adjusting. At first my digestive system (always delicate in my case) was a bit sensitive to the herbs but with time and some readjustments, I have found them to be invaluable in easing my menopausal symptoms. When I couldn’t take them for a week or so due to a heavy cold, I really noticed how my mood swings returned and how my mind felt ‘foggy’ and indecisive. When I take my cup of herbs each day I really feel like I am taking a pick-me-up health tonic. I also look forward to the restful acupuncture sessions with Jo at her beautiful premises in Oakham – about the only time I lie down and relax during the day! Jo has recently introduced some lovely herbal teas to aid digestion, sleep etc, and I will definitely be stocking up on them as they are the nicest herbal teas I have ever tried. Thanks Jo! I first came across acupuncture (TCM) and Jo during Acupuncture Awareness Week last year. I was at the end of my tether and so tired of feeling unwell and really unable to function on a day to day basis. I decided I had nothing to lose by going for a chat. It was the best leap of faith I have ever made. I found Jo to be warm, knowledgeable, empathic and a master of her field. I have been having treatment ever since. I was suffering from what I thought were severe food intolerances but despite having had every test available no one was able to get to the root of the problem and give me a 'diagnosis'. It started the minute I went on to solids as a baby and instantly became unwell, and I've been in and out of doctors' surgeries all my life, trying some fairly alternative approaches too. I was told time and time again that I was a fit healthy woman - but I felt so unwell and was afraid to eat! Meeting Jo and having acupuncture (TCM) has been life changing! It has been quite a journey. I had weekly treatments to start with and now monthly. Over the last year Jo has been able to balance my hormones which was a big contributor to my health challenges, improve my digestive function, improve my sleep quality, increase my energy levels, my skin complaints have cleared up and the brain fog has gone. I can now eat more freely and confidently which is life changing and most importantly Jo has taught me how to understand my body and taught me great awareness. Thank you Jo! Due to digestive problems and Alopecia I decided to seek out an alternative method to help manage my problems and discovered acupuncture. Acupuncture has definitely improved my life. My treatment experience was excellent. My body responds well to acupuncture. Acupuncture has given me a new treatment option other than drugs or surgery. I would recommend acupuncture to family and friends. Jo is thorough with her treatment. She takes the time to explain what is happening to your body and how you can assist in getting it better. After six treatments I felt I owned my body instead of it owning me. I'd recommend her in a heartbeat. I have to thank her for all her help during my stressful/painful times. After a very long and exhausting four years of trying to conceive, I came to Jo as a last resort - at forty it really was my last chance and after trying all avenues, including IVF, I had little hope. Jo treated my entire health system, got to the route of all my issues and really showed a great depth of knowledge for fertility and women's health - together with compassion, understanding and care in the process. She prescribed different herbs at different points of my cycle, which resulted in my cycles shortening from over 40 days to under 30 Days for the first time in my life ! I took several different formulas at different stages of my cycle whilst trying to conceive and fell pregnant during the fourth month of treatment. I also took the herbs during early pregnancy. She has a wealth of knowledge in Chinese medicine. I trust her completely and value her professional opinion. 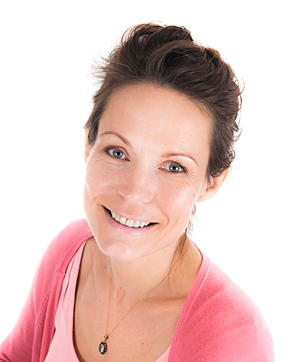 Jo is not only brilliant and more than qualified, she has a natural medical instinct for your health and wellbeing. I would highly recommend her to anyone trying to conceive or indeed with any other health issues. The birth of my second daughter was nothing short of a miracle and what Jo has done for me and my family will be forever appreciated. I was diagnosed more than three years ago with PMR & Fibromyalgia and since that time I have been on a reducing level of Steroids, aside from a flare up last year that put me back for a few months. Fibromyalgia does not respond to steroid treatment only the PMR, so this means taking additional painkillers, stomach acid medicines and sleeping medication to relieve the Fibromyalgia. I was becoming extremely disheartened at being on these drugs and so decided to look for a more natural approach to manage the daily pain, stiffness and fatigue and that is when I discovered the benefits of acupuncture. I have found Jo to be a wonderful support in not only understanding my conditions but also in looking for ways to ease my symptoms. She takes the time to research and communicates with her patients on an individual basis and tailors treatment accordingly. Acupuncture has not only eased movement for me but more importantly, it has helped my overall wellbeing and me attain a more positive attitude toward my health. I am still on low dose steroids but I rarely need to result to painkillers now and I take nothing now for sleep/stomach issues. My regular treatments with Jo leave me feeling eased and calm in both body and mind. I would not hesitate in recommending Jo, 100% as a practitioner. For the uninitiated looking to improve their health issues I would say please do try acupuncture – It works! I first became aware of the benefits of acupuncture and Jo’s services through Acupuncture Awareness Week in 2015. At that time I had been diagnosed by my GP as suffering from anxiety, and had been signed off work. Looking back I believe it was burnout. I was working full time in an emotionally demanding role and had two young children at home. My work/life balance felt non-existent. I was very emotional. I saw the advert in a local magazine and I decided to try a course of acupuncture and herbal medicine and never looked back. I didn’t really know what to expect, but as soon as I met with Jo she made me feel at ease, and listened intently to my issues, looking at all aspects of my health and lifestyle. She is friendly, approachable and very knowledgeable. The mix of acupuncture and herbal medicine got me back on track, along with Jo empowering me to make decisions to alter my lifestyle. My sleep improved, and in turn my mood was lifted. My menstrual cycle was regulated and remains that way. I would report back to my husband and tell him about Jo’s advice. He often repeats these words if I am taking too much on. I never considered acupuncture to combat mental health issues and saw it as treatment for physical ailments, but now I know it’s the whole package. I would highly recommend Jo to anyone. As a typical anxious 37 year old hoping to conceive, I visited Jo to help ensure that my health was the best it could be to help make it happen. Along with reading lots of material on detoxing for the run-up to the preconception period I visited Jo regularly over a period of a few months. I had convinced her and myself that it might take a while and was absolutely amazed and overjoyed when I became pregnant after my partner and I had only been trying for 3 months. I now have a beautiful and very relaxed little Aquarian boy named Marlow who has slept through most nights since week 5 and smiles the rest of the time. Jo's Acupuncture treatments and general wisdom were invaluable - she also helped me to learn acupressure points for inducing labour and for using during labour itself. After suffering from 3 early miscarriages at the age of 35 I was emotionally drained and rather concerned about our ability to start a family. I also felt totally out of control whilst I was waiting for the barrage of tests to begin on the NHS. Jo had successfully treated a friend of mine with conception difficulties so I thought I'd give it a go. After a full holistic assessment she identified issues with my monthly cycle, digestion, sleep and energy levels. She advised we stop trying to conceive for 2 cycles whilst she regulated my system with chinese herbs, acupuncture and nutritional advice. From day one I felt an instant change in my energy levels, sleep pattern, digestion and most noticeably my periods which were remarkably less painful and less symptomatic in general. I also felt a sense of calm that I realised I hadn't felt for some time. After 2 full cycles she gave us the go ahead to try again and this time we appear to have been instantly successful and here I am 6 months later and 6 months pregnant. Treatment with Jo has been a very calming and holistic experience. She has a very gentle, empathetic approach and the instant changes really did make me feel that my money was being well spent. There appeared to be no standard treatment as her treatments are tailored to your individual problem at that time, and from this a plan is formulated. I have suggested a number of my friends see Jo for a variety of problems. Once you've had one miscarriage there is always an element of worry that you will reach full term and with this in mind I do feel somewhat anxious about writing a testimonial before my baby is in my arms. I do however, feel positive that my pregnancy has got this far and I'm hopeful that our success will continue to term. When I first consulted Jo I had just had my second miscarriage in 9 months, both when I was 5 weeks pregnant. The first one I had managed to cope with as "one of those things", perhaps also because I had fallen pregnant in the first month of trying, but the second one knocked me sideways, particularly after having spent 6 months trying, 3 of those on clomid. My GP had no answer and despite being very distressed and down about the whole thing I was told that there was probably nothing wrong and I should just try again, tests being available after 3 miscarriages! I didn't feel that this was good enough and so decided to take things into my own hands. As well as seeking advice and tests privately from the Lister hospital many people I spoke to about miscarriages advised me very strongly that Chinese medicine and acupuncture had worked wonders for them and friends of their's. That's when I found Jo! At first I was a little apprehensive about acupuncture - I don't like needles or pain very much! Jo however is obviously incredibly knowledgeable and experienced and she made the process very easy for me. I also took the Chinese herbs that Jo mixes specially for each patient and although they didn't taste that great to me, combined with the acupuncture they worked wonders. I say this because on my second month of treatment with Jo I fell pregnant again and am now 16 and a half weeks pregnant and everything seems to be going well (fingers crossed!). My message to anyone that has suffered miscarriage (recurrent or otherwise) is that acupuncture really helps. As far as I am concerned it got my system back on track and able to cope with another pregnancy far more quickly than conventional medicine or mother nature would have done. That is definitely worth putting up with a few needles and Chinese herbs! I went to Jo for help after 8 rounds of IUI, all of which had been unsuccessful. The consultants at the fertility unit had indicated that my husband and I had unexplained infertility and that we should move on to IVF. I was anxious about IVF as I had heard that it was a very physically and emotionally demanding process. I was worried about how I would cope if IVF was repeatedly unsuccessful and was concerned about the physical implications of the treatment. I also wanted to make sure I was in the best shape possible to concieve. I found Jo very helpful and understanding, particularly putting my mind at ease about the process of IVF and reducing some of the anxiety and panic about whether it would be successful. She gave me some herbs which sorted out my periods and generally calmed me down. This meant that I was able to embark on IVF feeling positive and confident that I was prepared and that whatever the outcome, I had made the best possible effort. I was thrilled to find out that I was pregnant after the first course of IVF and found it very helpful to continue to see Jo throughout my pregnancy. Again, she did a brilliant job of keeping me calm and treating me firstly to avoid miscarriage and then to deal with the aches and pains of pregnancy, particularly sciatica. At the end of the pregnancy, Jo started treating me to prepare me for labour - I went into labour within a day of her treatment and had a beautiful and healthy baby girl 2 days later. I am very grateful to Jo for her help and support through the stress of IVF and I am convinced that the acupuncture made a huge difference in the outcome of the IVF and then in having a trouble free pregnancy. I will definitely go back to her when I start trying to conceive again. Before I started to see Jo, I had many problems with my periods. After I stopped the pill I had suffered irregular periods, PMS, hair loss, mood swings and many other problems. I never knew when my period was coming - sometimes disappearing for 2-3 months, sometimes having mid-cycle spotting for a few days. A doctor diagnosed me with polycystic ovarian syndrome and suggested to go back on the pill. I decided to try an alternative method to help me with my problems. My mother recommended acupuncture as she had success with it in the past for her back problems. Jo used effective treatments (acupuncture and herbal medicine) for my menstrual symptoms as well as my general well - being. After few treatments all the symptoms had eased and I was getting my period regularly. It was an absolute thrill to have normal period once and after a few treatments I was like a new woman with no mood swings and less PMS. Jo is a very kind, helpful and highly experienced practitioner. I always felt comfortable and cared for in her presence. I never had any pain during treatments and after the session I always felt relaxed, calm and so energetic. We recently moved to Vienna for a temporary term but as soon as we are back to London I will definitely visit Jo again. I have recommended Jo to my friends already, and I would recommend her to anybody who is considering acupuncture. Acupuncture and her expertise helped me a lot! In just six months of treatment with Jo, I managed to get rid of persistent acne that had been with me at varying levels since I was fifteen. The course consisted of Acupuncture, Chinese Herbs and dietary advice. Over the years I had undergone courses of Roaccutane and antibiotics to manage the condition. At the start of my treatments with Jo, I was on a course of Minocin antibiotics that I was able to stop completely after 4 months. This was a highly significant event - coming off antibiotics and having a clear complexion after so many years of worrying about my skin. If only I'd done this earlier, instead of dealing with GPs whose only answer was to prescribe me more pills! Hopefully, Western medicine will come to fully appreciate the use of Chinese Medicine in health care. I had been getting illnessess accompanied with fatigue since going to India a couple of years ago. After another longhaul trip I ended up suffering continuously from a lack of energy, muscle weakness and lightheadedness. All the blood tests my GP sent me for showed negative. After 6 weeks I started seeing Jo who treated me with a combination of accupuncture and Chinese medicine. She was sure she could help me and worked on the assumption that I had a pathogen which I'd never managed to shake off from India. She explained how the herbs would mainly boost my immune system to fight it off completely. As a result my energy slowly came back, my slumps got fewer and further between. Now I'm back to regular exercising and feeling strong and fit. Jo gave me treatment and hope where conventional medicine could find nothing wrong with me. I had just experienced an eptopic pregnancy and a friend highly recommended that I go and see Jo for acupuncture and Chinese herbs. We met at Jo's clinic in the Autumn of 2005 and I immediately felt I was in a warm and supportive environment. I had had a series of fertility difficulties including a diagnosis of blocked fallopian tubes and was facing the prospect of IVF. It felt a relief to be able to share my experiences with Jo and to be listened to. She helped to dispel any notions of my body having failed, I was particularly moved when Jo picked up the x ray of my blocked tubes and said how beautiful they were. Having been so used to medical analysis and focus on the problem, I felt a wave of compassion and self acceptance. This self acceptance has proven to be a very important part of my journey. I was very reassured by Jo's relaxed and open attitude to assisted conception. Having read and heard so many 'horror' stories in the media, Jo had a wonderful way of approaching IVF without anxiety or judgement. It was so helpful in releasing the fear and preparing for the treatment. I saw Jo on a weekly basis until my IVF cycle in July 2006. I had acupuncture which I found relaxing and calming and as well as the specific focus on my fertility, helpful for my health generally. Jo also prescribed Chinese herbs which I drank twice a day, even learning to enjoy! My sessions with Jo became an integral and extremely valued part of my process. As well as the treatment, I found being able to talk about my feelings and experience in a non 'hospitalised' environment so important and hugely supportive. As the IVF approached, Jo also saw my husband and he had acupuncture and herbs to help maximise the quality of his sperm. As well as the benefits of Jo's treatment I also found this very helpful in feeling accompanied by my husband. We did our IVF cycle with minimal discomfort and stress. We had a successful fertilisation rate and well developed embryos. Not to mention great sperm! In September we discovered that I was pregnant with identical twins. I saw Jo all through my pregnancy which right up until the end was very healthy. Very heartbreakingly due to a very rare identical twin condition our baby Liv didn't make it, but in spring 2007 Anouk was born. She is now a beautiful 5 month old baby and a wonderful joy. The last couple of years have been challenging and at times very difficult, but my relationship with Jo and her treatment has been one of the most helpful and grounding things I have done and I have no doubt that she has played an important role in the successful arrival of Anouk. I first went to Jo after having received two abnormal results from my cervical smear tests. The results were showing the presence of HPV (Human Papilloma Virus) and the feedback from the doctor was that I would just have to wait and see if it cleared by itself. The results were causing me great concern, as I knew that if the test kept coming back abnormal, more invasive investigation and treatment would be required. I went to visit Jo after reading about her methods on her website. To tell you the truth, I was quite nervous and anxious, and did not really know what to expect. Jo put me at ease straight away. Her calmness and evident knowledge gave me great confidence that she could help me. Little did I know that she would also help me in other areas of my life! I visited Jo once a week for acupuncture, and commenced a course of Chinese herbs. The next smear test I had (5 months later) came back normal. Each time I came away from our visits feeling as though I had been re-vitalised, and also more focused on what I want in life. Our discussions have helped me re-structure my life and gave me the motivation and confidence to start a new business. Jo George has a wonderful way of caring for people. Her holistic approach to her patients means that she truly is a healer of not just the body, but also of the mind and soul. I would recommend her to anyone seeking treatment. For a long time I suffered from severe Cystitis and was constantly visiting my GP who would prescribe antibiotics. I found that although they worked short term the cystitis would come back within a month. I was desperate to sort this out as I was drained of energy; feeling very fed up and also had back pain. Whilst reading the local paper I came across an article that talked about Jo George and her treatments for IVF, and became very interested in her work. I decided to try Jo. She is brilliant and recommended acupuncture, Chinese herbs and dietary changes. Within a couple of months my cystitis had completely gone; I now feel wonderful with no pain, more energy, and overall so much happier. Jo's sensible and sensitive words enabled me also to give up smoking as well. I would highly recommend Jo to anyone who has any ailments for an alternative approach. I have suffered from headaches for a considerable number of years as a result of head injuries sustained in a car accident. I also suffer from Rosacea, which is believed to be linked to poor digestion. I was somewhat sceptical, when reading Jo's leaflet, as to the benefits gained from Acupuncture, but I decided to see whether it could benefit me. Jo's calm, gentle, reassuring manner impressed me immediately and continues to do so today. Indeed, her very presence soothes and relaxes me. I began with regular Acupuncture sessions (one a week for six weeks) to kick-start my digestive system before reducing my visits to once a month. To complement the treatment, it was suggested I receive a course of specially prepared Chinese herbs, which I still take. The improvements I have experienced regarding my skin condition and headaches have been very gradual and possibly not as dramatic as I would have liked. However, this has more to do with my expectations than how successful the treatment has been. I still suffer from headaches, but they are less frequent and debilitating than they used to be. I am very pleased with how well my skin has responded and I have been pleasantly surprised to experience improved energy levels and an increased sense of well-being. Jo's sincere, dedicated approach to health and patient care is to be commended. I have certainly benefited from her advice and support, and I hope others are able to do so too. I recently had a bout, the worst yet - it rendered me completely immobile and the pain was unbearable - no amount of painkillers seemed to have any effect! I was advised to try acupuncture - a new concept to me! After a one-hour session with Jo, I noticed that the pain had completely gone however the movement was still restricted. During the next 4 hours my neck slowly 'freed up' and by the following morning, I had recovered by about 80%. In the following 2 days, I made a complete recovery. I have since received further treatments and would highly recommend acupuncture as a very viable solution...as well as being a very pleasant and calming sensation. Having already had one child successfully through IVF treatment, I had been trying for 4 years to conceive again through the same process. I originally went along to see Jo for Reflexology to support my general health whilst having the IVF treatment, but she has ended up giving far more than this. Jo has listened carefully to the diagnosis I have reported of the Western medicine and recommended alternative therapies at each stage to support the scientific process. She has performed acupuncture as well as prescribed Chinese herbs which have been very specific to my problems. She has carefully tweaked these prescriptions through each stage and I am now in the early stages of pregnancy. I do believe that Jo's contribution has made a difference to the IVF cycle this time and I am convinced that her treatments can work fantastically alongside the traditional Western methods of assisted conception. Great stress at work, constant travel and a pretty hectic social life began to set the scene for depressed energy levels, and poor immune function. Following a parasitic infection picked up on my travels, candida got its grip on my gut and skin problems followed. I was introduced to Jo through friends, and excellent reports of her treatments convinced me to try acupuncture, something I had previously considered to be only for masochists. I started with monthly acupuncture sessions and have recently began integrating Chinese herbs. Jo has an aura of calm, peace, kindness, and wisdom; she transmits a sense of well-being. Her non-judgmental and highly professional explanations and interpretations of symptoms instil the kind of trust I found so important for approaching acupuncture. She handles the needles expertly, with no pain, and her accompanying explanations of the sensation one ought to get when they are being manoeuvred are very comforting. After each session, the sense of harmony with the world and complete tranquillity is incredible- no external influence can knock me off that 'cloud' I float on. I'm confident that this process of healing will help me reach my health goals. Jo is truly inspiring and her influence has led me to reflect upon life's issues from a new angle and positive perspective. Anyone wishing to make a real investment in his or her health and development can feel assured there on the right track contacting Jo. I came to Jo with a long history of painful, irregular menstruation with PMT and pelvic pain, headaches, fatigue and a bad back with sciatica. After nearly a decade of unsuccessful treatment by conventional Western medicine with drugs, internal examinations, scans and surgery, there was still no diagnosis for my endometriosis-like symptoms. I felt exhausted, depressed, desperate and almost violated by the invasive approach employed by traditional doctors. I chose to seek an alternative approach when I was told by a consultant, at the age of 24, that the only “treatment” was a hysterectomy as I was probably infertile anyway. My first appointment with Jo was a breath of fresh air. She listened to me patiently while I explained the history of my symptoms. She recognised a link between my symptoms that had never been recognised before. She began to formulate a series of acupuncture prescriptions and herbal medicine that was tailored to my situation. Unlike traditional prescriptions, my treatment was continually modified, according my progress and specific needs at the different times of my cycle. Throughout the sessions, I felt relaxed, safe, individual and important. Almost instantly, my symptoms “peeled” away. Within 1 month, I saw a dramatic improvement in my health and state of mind. After only 3 months of treatment, which now includes Reiki, my menstrual cycle has been regulated, PMT symptoms reduced, pelvic pain very infrequent and the sciatica hasn’t returned. Jo’s approach to healing was a welcome change to traditional medicine. It is non-invasive and personal. She encourages to me to understand the treatment I am receiving and has introduced me to Reiki healing. She is a warm, compassionate and highly skilled, intuitive healer, who is continually striving to improve her knowledge and its application. After trying to conceive for about six months, I had some tests done with my GP and they called me a "border line" - it might be that I was not even ovulating. I was very anxious (as I'm also 37 years old) and began to search the net in order to find alternative ways to enhance my fertility. After my first visit at Jo's clinic I felt less anxious and much calmer. I was looked forward to my weekly appointments with Jo for acupuncture, as well as Chinese Herbal Medicine. Just the fact that someone listened and cared for me - the whole me - made me relax and full of hope again. I am convinced that it was Jo's expertise and peacefulness that helped me become pregnant already after two months. Both my partner and I feel utterly thankful to Jo for her care, and I will continue to see her throughout my pregnancy as I feel this is a wonderful help and support for me. I am now in week 8 and have not experienced any of the "normal" problems during early pregnancy such as morning sickness etc. I have suffered from Crohn's Disease for the past twelve years, the symptoms of which have progressively worsened, especially over the past two years. In addition, the prescription drugs being used to treat the disease were becoming less effective and were causing serious side effects, including the thinning of bones. Increasingly the only viable option, according to the hospital doctors, was radical surgery. My concern over proceeding with the surgery made me contact Jo who prescribed a combination of acupuncture (weekly) and Chinese herbs (daily). The positive impact of this treatment on my condition cannot be emphasised enough. It has resulted in a significant reduction of my symptoms over the last six months to the point where my health is the best it has been in nearly five years and has also permitted a reduction my prescription drugs to a level where their side effects are greatly reduced. I believe that one of the main reasons behind the on-going success of my treatment has been Jo's diagnostic skill, which allows her to adjust the acupuncture treatment and Chinese herbs according to an individual's symptoms. This allows a more sophisticated treatment of my illness than any of the current prescription drugs available and without their side-effects. I think that acupuncture and Chinese Medicine can help anyone suffering from digestive or bowel complaints. After having two irregular cervical smear tests within a space of three months I was advised to have a Colposcopy in order to ascertain what stage of cell change had occurred and which strain of HPV (Human Papilloma Virus) was causing the changes. During the Colposcopy the specialist told me that the area of cell change was small and that the strains of HPV which caused genital warts (from which I was also mildly suffering at the time) are not usually associated with cancer. He took a biopsy, just to be on the safe side, and I went away relieved, assuming the biopsy would come back normal. I was therefore very shocked to receive a letter recommending a loop diathermy to remove the area of abnormal cells. I was very reluctant to undergo this treatment and so when Jo was recommended to me I immediately made an appointment. I consulted the specialist and he agreed that there would be no risk in having a further Colposcopy three months later before deciding whether to have the loop diathermy. During this time I saw Jo every week for acupuncture and took a course of Chinese herbs. At my next Colposcopy I was told that there was a minute area of cell change that was "between something and nothing", no biopsy was taken and the smear test came back normal, showing no HPV. My weekly appointments with Jo were always reassuring and rejuvenating, I regularly walked out of her clinic feeling centred and very alive. She addressed not just the condition in my cervix but other aspects of my physical and emotional health. I had experienced unexplained infertility for four years. During this time I underwent a number of invasive procedures at my local hospital, with no conclusive reason why I wasn't able to conceive. I also had a successful cycle of IVF but miscarried in the twelfth week. On the advice of a friend I went to Jo for an acupuncture consultation. This was much more relaxed than the hospital appointments I had experienced; the Life Medicine Centre is a calm environment with her own paintings on the wall. I was given the time to describe my history and felt I was being listened to. We agreed I would have weekly acupuncture sessions and a prescription of Chinese herbs. Each week Jo would carry out non-invasive diagnostic tests and ask me about my well being and health before deciding the best course of acupuncture treatment for the session. About monthly the prescription of herbs would alter to meet my needs. After three months I fell pregnant naturally, however, I had an early miscarriage. I continued to see Jo weekly - this was very helpful at keeping me calm and positive as well as restoring my health. Three months later I conceived naturally again. In the early weeks after this Jo gave me a special formula of herbs to try to prevent another miscarriage and acupuncture to secure the foetus and maintain my health and emotional wellbeing. I continued to see Jo weekly until about sixteen weeks then fortnightly until my second scan. I am now 37 weeks pregnant and my partner and I are looking forward to the birth of our much awaited first child. Jo's exceptional expertise, ability to listen and diagnose and calm, welcoming manner all contributed to this success. This is in contrast to the naturally busy and rushed environment of a western hospital. Whether seeking help for fertility issues alongside conventional western medicine or in the absence of it, I truly believe acupuncture is an effective, non-invasive approach to enabling conception. I have been living in Nigeria for the past three years. In that time, I have had malaria several times, a nasty bout of gastro-enteritis, as well as amoebic dysentery (so much for life in the sun!). This has left my immune system somewhat battered. After going to the Hospital for Tropical Diseases and having all the tests possible (with no negative results), I decided it was time to seek alternative means to restore my health. Jo had been recommended to me by the sister of a friend. After taking my diagnosis on the first visit, she assured me that my yin imbalance would be restored, perhaps more by taking Chinese herbs than by acupuncture (although the latter would certainly help). Each time I have seen Jo on my trips back home, I find my system slowly but surely rebalances itself in the weeks afterwards. I first went to see Jo when I was hoping to become pregnant. From the very start I found the combination of acupuncture and Chinese medicine that Jo used both enjoyable and effective. I was lucky enough to conceive within 3 months and also noticed an improvement in every aspect of my overall health from digestion to sleep. Jo has a very rare ability to calm and reassure and her treatments provided a real haven in the week! I continued to see Jo throughout my pregnancy, I didn't suffer any morning sickness, constipation, swollen ankles or any of the other pregnancy associated ailments that I fully expected! Treatments with Jo are not just a wonderful holisitc experience but also a real treat. I started treatments with Jo about a year ago when I was exhausted from endless colds, coughs and sinus problems and a series of various infections. No help was on offer from my GP (after the initial antibiotics & painkiller prescriptions), and because the blood tests were normal I had almost accepted my immune system simply wasn't working well any more. Luckily that's when a friend recommended Jo. It was wonderful to suddenly receive such thorough and sensitive treatment. After only a few sessions my chest and sinuses were much clearer, and miraculously a few months later my immune system and well-being were restored. Apart from the very occasional light cold I haven't had any of the infections I used to have. With more energy and a freer voice, I seem to be the healthiest in my circle of friends. Other ailments such as stomach upsets, tooth infection and back pain have also been treated. Each time acupuncture and differing herbal formulas (when needed) are tailored to my needs. I love Jo's holistic approach, her professional, unobtrusive yet warm and open demeanour coupled with vast knowledge and expertise can address any problem you like - which means I still see her now, albeit on a more sporadic basis to maintain my good health. And her beautiful artwork, which decorates her rooms, is a joy and inspiration too! In September 2005, I had a very severe attack of shingles in the sciatic nerve. As a result of this viral infection, I began to suffer with urticaria all over my body and scalp which gradually became a chronic condition. The weals and hives caused very severe skin irritation and inflammation which made my life unbearable and my day-to-day quality of living very poor. I was referred to numerous NHS hospitals and saw many specialists who provided the diagnosis of chronic urticaria, prescribed a tablet (Fexofenadine Hydrochloride) to be taken daily but failed to offer a long-term resolution and instead advised me that this was a condition I would be forced to live with. Unfortunately I failed to notice much improvement but continued with this medication. By this time, both my physical and emotional health were suffering considerably. It was then I decided to seek alternative treatment. I was recommended to Jo George and began her Chinese herb remedies. I visited Jo on a weekly basis and noticed a significant improvement. My quality of life began to improve and as the outbreaks of urticaria lessened my visits to Jo reduced accordingly. I now see Jo every 8 weeks but continue to take the Chinese herbs twice daily. I can honestly say that I now have no symptoms of urticaria and am truly grateful to Jo for my remarkable recovery. I have also being able to reduce the tablet prescribed by my specialist to half a day, with the long-term vision of stopping completely. I feel that my life has been given back to me and my gratitude to Jo is and always will be immeasurable. I would highly recommend Jo to anyone who needs help. I first consulted Jo George six months before IVF treatment. I found her acupuncture sessions restful and relaxing. Jo's calm and reassuring manner was a great help in dealing with the anxiety of trying to conceive. I had acupuncture the day before the embryo implantation and immediately afterwards. I am sure that the acupuncture contributed to the success of the IVF. I continued treatment for the first three months of the pregnancy and found my appointments with Jo a time to rest and recharge my batteries. Two years later, wanting to conceive again, I restarted treatment with Jo and within two months was pregnant, this time naturally. I continued having acupuncture throughout the pregnancy and again had a healthy pregnancy with no problems. Jo was particularly helpful in providing a treatment for getting the baby in the right position after the consultant had pronounced that a normal delivery would be impossible because of a transverse lie. I would recommend Jo's acupuncture to anyone wishing to conceive and have a healthy pregnancy. My partner and me consulted Jo George since we were looking for an alternative to the NHS – having tried to conceive for one year and a half our diagnosis was unexplained infertility. We were unhappy with the NHS approach and did not want to rush with the solutions offered by Western medicine (i.e. IUI, IVF). Several specimen tests had produced hopeless results; however, only after some time and with Jo's advice, we found out that they were completely flawed. We worked on sperm quality (acupuncture and herbs), and after some months there was significant improvement. Jo not only provides expert knowledge and treatment. In my hectic everyday life she also offered me a calm and trustworthy environment absolutely necessary to build up hope, patience and energy. Having tried to conceive naturally for 3 years my wife and I were told that IVF was the only realistic chance we had of a family. That news illicited a set of emotions neither of us had experienced before, fear, anger, regret, upset and excitement. Both of us had heard that acupuncture could increase the chances of successful pregnancies through IVF. My wife found out about Jo online and we embarked on a course of treatment, both acupuncture and Chinese herbs. Jo is deeply passionate about her work, insightful, affable and importantly sensitive to the needs of her patients both male and female. From a male perspective it can be difficult to come to terms with infertility, particularly (as in my case) if the male is 'guilty' partner. Jo reassured me, created a treatment program specific to me, each treatment session was different every time and incredibly thorough. To all the males and females reading this - Jo is without doubt well worth seeing. My wife and I are tremendously grateful to Jo as we unequivocally believe her treatment expertise helped the IVF process immensely. So much so, we both still see Jo for treatment even though we might wait a while to try for number 2! I first came to Jo in 2003, having been diagnosed with endometriosis five years previously and subsequently suffering an ectopic pregnancy, developing an ovarian cyst and undergoing three laser-laparoscopies. All very harrowing and gruelling! What struck me immediately from my first consultation with Jo, was how she looked at the whole picture – my previous illnesses, events in my life and my feelings – something which I had never experienced before. I was nervous at the thought of having acupuncture, having battled with needle-aversion from a very young age, but Jo put me at my ease and made the experience a positive one. I now look forward to my acupuncture sessions! When the needles are in place, I feel a surge of energy flow through my body and come away from the session feeling both relaxed and revitalised. The acupuncture, combined with the Chinese herbs Jo prescribed, have proved very effective in controlling the symptoms of endometriosis, including pain and fatigue. Through treatment my cycles have become more regular and manageable. After my last laser-laparoscopy in 2002, I never thought I would be able to survive more than a year without any surgery or drugs. In addition to the positive effect on the endometriosis, Chinese medicine has, for me, helped with other conditions, such as headaches and digestion problems. After just over a year of treatment, I embarked on a cycle of IVF/ICSI, with regular acupuncture sessions with Jo. To my delight and amazement, the cycle was successful, and I gave birth to my son in May 2005. Acupuncture proved very beneficial during the pregnancy and aided my morning sickness and sciatica (gladly tolerated but debilitating nonetheless!). I now continue treatment to maintain my good health and keep the symptoms of endometriosis at bay. In my experience, Jo’s expertise has enabled me to have an excellent quality of life and played a significant part in enabling me to conceive. I started to see Jo when I was having difficulty conceiving my second child. I had my first child at 37 and went to see her at 40, after 8 months of trying to conceive. Although I was having periods I did not appear to be ovulating – at least not according to many ovulation tests over several months! I had breastfed fro 2 and ½ years, used the Mirena, a coil that releases hormones and for whatever reasons it just wasn’t all working as it should have. A friend recommended her to me and I found her welcoming and realistic about helping my ovulation restart effectively. I am quite nervous of needles but she made me feel very relaxed – largely by allowing me to be nervous…she never made me feel silly. I found the sessions relaxing - in-spite of my initial fear of needles, which receded quickly – and found Jo to be very easy to talk to, about the treatment and all sorts of other more general things. She didn’t make promises she couldn’t keep at any point but I found her very positive nonetheless. She gave me Chinese herbs to drink throughout the course of treatment, which I disliked but got used to. It took me a month or two to really take them properly, but in retrospect I think they are incredibly effective, especially when combined with Jo’s knowledge and skill as an acupuncturist. Within 2 months of treatment ovulation tests showed I was ovulating regularly and within 6 months I was pregnant and now have a huge healthy jolly baby boy. In truth I have no doubt that her help was effective and am very glad that I went to visit her when I did. I made my first appointment to see Jo a couple of years ago. She had been recommended to me by a good friend, who is an acupuncturist working outside of London and who had read an article about her in the national press. I had received acupuncture before by 2 different practitioners and was still a little sceptical of its benefits. However that is now history. She has helped treat the symptoms of a chronic lung condition through the administration of Chinese herbs. In addition, I have seen her frequently when suffering from muscular/skeletal problems and her acupuncture treatment has, it seems to me, miraculously left me free from of pain from tennis elbow and sciatica. I now go for regular, usually monthly consultations. In addition to the alleviation of specific health issues, the acupuncture treatment always leaves me with a greater sense of well-being and calm, contributed to also by the feeling and knowledge that I am in very experienced and sensitive hands. As an older father of a 6 year old – I am 64 – and in as busy and demanding a professional life as it is possible to imagine, I have great need physical and mental energy, and psychological well-being. I have been a patient with Jo for several years now, and I am convinced that her treatments are in indispensable part of what keeps me young and vital. The herbal treatments help to keep me out of the doctor’s surgery and the acupuncture provides me with essential doses of rest and rejuvenation. She is wonderfully intelligent and sensitive practitioner, and I am lucky to have found her. Having being diagnosed with PCOS I had been taking the drug Metformin for a year and trying to conceive before I came across Jo in a newspaper article. I realised that I would probably have to have IVF treatment but knew that success rates were random. I had read various articles on how in the U.S. IVF success rates for women having acupuncture were lightly higher for those who did not have this treatment. So I was quite pleased to discover Jo. What I liked about Jo was that she listened to the emotional side of things and looked at the well being of the whole body whereas the doctors I had seen were all very ‘mechanical’ and talked about the situation in the same way. Apart from having to take not so nice tasting herbal medicine I was a bit apprehensive at first at having needles inserted and I think throughout my treatment I had my moments where I was sensitive to the needles. It was not that the acupuncture actually hurt but I think at times I needed to be more relaxed during the procedure. Jo however was quite patient and professional about it, which always made me feel less silly about being sensitive and so more calmer. I got pregnant during my first cycle of IVF and as I am writing this my partner and I are planning the first birthday party for our son. I would recommend Jo to anyone who has infertility problems. My husband and I have been trying to conceive for the past 9years . I have endured 1 ovulation induction, 3 IUIs , 3 IVFs and 2 FET , which resulted in an ectopic pregnancy and a miscarriage at 6 weeks . After my third IVF in 2006, I began to wonder if the IVF drugs have resulted in my already not regular cycle (34 to 48 days) to become even more unpredictable and lengthen from one cycle to another . In addition for the past few years I have suffered from lethargy and intense pain in my shoulders a few days after my period which I have tried to self diagnosed without success by taking Chinese herbs recommended by friends and family. In early 2007 I started my treatment with Jo having found her through her website on the internet. With the acupuncture and herbal concoctions prescribed , I began feel stronger and the shoulder pains began to fade. It took Jo a few more months before she was able to pinpoint the cause of my period irregularity which was due to an elevation of prolactine during my period which is causing milky discharge to appear. From then on with the use of the correct herbs, Jo managed to reduce my cycle to 28 days and for the first time I could use an ovulation kit succesfully to predict my ovulation . I have yet to conceive naturally but thanks to Jo’s brand of bespoke medicine, I know that if I do embark on another round of IVF, I will be better prepared healthwise. I have been seeing Jo on and off now for around 5 years. My initial reason was to prepare for a last round of IVF after two unsuccessful attempts. Unfortunately an old problem of fibroids returned and I was unable to try again. This was devastating to me. Jo has been helpful and understanding during this time and has always had my confidence in her wealth of knowledge not just about Chinese herbal medicine but about other complementary treatments that can make a positive impact on life's challenges. My fibroids are very large and had made a difference on my health: severe anaemia, impact on everyday life due to excessive bleeding and pain. However we have worked together to find herbs that allow me to manage my condition and deal with issues such as sleep pattern and energy levels. Treatment sessions have an almost immediate effect on me sometimes energising other times a good night's sleep. I would recommend Jo as an experienced practitioner in her field but also for who she is as a person which also affects the therapeutic experience. treatments such as black cohosh and conventional HRT, one of these helped. The HRT got rid of the symptoms but I was so bloated and uncomfortable that I couldn't stand it after a few months. I am someone who plays sport and eats pretty healthily so felt I was running out of options. I work in conventional medicine with all the prejudices that that can engender, so when a physiotherapist friend recommended Jo to me I was somewhat sceptical.I am now a complete convert!! The herbs that Jo prescribed have really helped with all my symptoms. For various reasons during the last few months I have had periods of time when I was unable to take the herbs and the symptoms came back within a few days. To get rid of the nausea and fatigue has been truly brilliant. At the age of 38 I had a total hysterectomy. I battled for four years with numerous menopausal symptoms which were at times very debilitating and frustrating. Visits to time pressured and unsympathetic GPs were fruitless and I was told the one ovary I was left with should be working fine. Gradually symptoms became worse and worse, flushes, night sweats, unexplained weight gain, anxiety, mood swings, fatigue, aching joints, sore throats, thinning hair, terrible sleep, brain fog. I was at the end of my tether! Then I met Jo and I would go as far as saying her treatment has been life changing. The initial hour consultation was a fresh of breath air. She listened, asked detailed questions about my medical history and was so compassionate. What’s more she understood my symptoms and had answers. A combination of Chinese herbs, vitamins, digestive support and acupuncture were prescribed. Gradually over a few weeks I began to feel like my old self within 4-5 months of treatment I felt transformed. I still take a daily prescription of Chinese herbs and receive monthly acupuncture. This keeps my hormones and symptoms in check. Not only do I feel so much better inside I’m constantly told how well I look. I My hair and skin look better than they have done for years, so that’s an added bonus! I can’t recommend Jo, highly enough what she doesn’t know and understand about women’s health is not worth knowing. You’re in safe hands! I started seeing Jo just before the beginning of my first IVF treatment. We had been trying to conceive for a year and were fast tracked onto the IVF programme because of our age. At 41 and 42 we were told by the consultant that we had a 1 in 10 chance of success so were feeling pretty negative about the whole experience. I had weekly sessions just before and during the treatment that I found invaluable. They helped me relax and feel that I was taking some control in a process that is otherwise ‘done to you’. Jo was very encouraging and helped me believe that we could have a positive outcome, which we did. I continued seeing Jo throughout the pregnancy. I had weekly sessions in the first 3 months, which helped with anxiety about miscarriage (I had previously miscarried at 11 weeks) and eased morning sickness. After that I saw her every 3 – 4 weeks to deal with specific issues like sciatica and I believe that contributed to a problem free and enjoyable pregnancy. In the final 3 weeks we did preparation for labour, which meant I delivered safely and naturally on my due date. Edith is a beautiful and very relaxed baby and I can’t thank Jo enough for the part she played in our journey to parenthood. I had been trying to conceive for about a year and getting anxious about it - I was 40, my periods came along only every two months and I was feeling pessimistic. I had one unsuccessful and stressful round of IUI and then - though sceptical - decided to go and see Jo for weekly visits. Two months later, much to my amazement, I had conceived and am now five months pregnant. Jo has a calming and positive presence that I found very helpful and I would highly recommend her. I was recommended Jo after I went to a female Dr in Harley Street who had told me that my high FSH (Follicle-stimulating hormone) levels combined with my age (39 years) would make it near impossible to conceive! Being the type of person who doesn’t like choices taken away from them, I sought Jo’s advice and was reassured and surprised to hear that my FSH levels should have been taken on day 1-3 of my menstrual cycle to have an accurate reading.This information had not been relayed to me by the Dr in Harley St. and it made me realise how important it is to seek the expertise of complementary medicine alongside western medicine. Jo prescribed regular weekly treatments of acupuncture and Chinese Herbs over a 6 month period. I have since had a normal FSH reading, my periods are more regular and I feel more balanced within my body. I now have the possibility to conceive if I choose to! Jo’s holistic approach to medicine is inspiring. She is highly experienced and knowledgeable in acupuncture and herbs, particularly in women’s health and fertility. Her calm, positive and supportive guidance make you feel nurtured and at ease. I would recommend Jo George to anyone! I had shared our struggles with conceiving with a friend, who suggested that I consider alternative therapies with Jo. Having been through many months of 'what if' and then being not successful in getting pregnant, we went to see Jo at her clinic. Jo treated both my husband and I using acupuncture, however what we found different with Jo was her sensitivity to our specific issues and how generous she was with sharing her knowledge. We found it most helpful to complement the treatments with an understanding and acceptance of the foundations for the treatment. We therefore felt we were being treated, body mind and soul. Since combining treatments by Jo with other life changes, we are blessed with the journey of our first pregnancy. My husband and I had been trying to get pregnant for 6 months when we had some investigative tests done. Our GP told us all was fine. I’d been seeing Jo for some months to work on my symptoms of PMS and she asked to see the results – she told us there was a serious issue which the GP just hadn’t spotted. Her diagnosis led to further tests which confirmed that natural conception was very unlikely. Jo treated us both, and particularly me through the IVF treatment. She was supportive and encouraging and I felt the acupuncture was a positive complement to what was a stressful and physically demanding process. Joyfully, our first attempt was successful. Our baby is due in February. Jo has continued to treat me through my pregnancy, especially in my first trimester, which I found very reassuring. I went to Jo on a strong recommendation from a friend. Approaching 41 with a miscarriage behind me and a partner who has a low sperm count, I was looking for help with my fertility and had been considering the IVF route. It was a real low point for me physically and I was depressed at thought of not being able to conceive. First Jo set about treating my monthly cycle with herbs and acupuncture. (I thought periods were always supposed to be painful and PMT ridden), within one month my periods were pain free and the PMT had disappeared. She also treated me during ovulation and within three months I was pregnant. Jo is professional and compassionate. During my three month treatment she helped me heal emotionally as well as physically. Despite feeling low, I looked forward to the weekly sessions as I always felt refreshed and positive after the treatment. I have recommended Jo to many friends and hope to see her soon for help with number two..
Irregular cycles, PCOS, two miscarriages and finally a trouble free natural pregnancy. I can clearly remember the first time I heard about Jo. My husband and I were holiday about a year ago, both of us feeling emotionally drained after I had suffered my second miscarriage, when I read about her in a magazine. Her patient told a very similar story to mine - recurrent miscarriage, no obvious cause, lack of interest from the medical profession. With Jo's help she was six months pregnant. I made my first appointment there and then. At the initial consultation, Jo listened to my experience and what I was hoping for. As well as two early miscarriages, my cycle was completely out of kilter and I had been diagnosed with PCOS. Jo has cultivated a very reassuring and open atmosphere and I felt I could tell her everything. We embarked on a course of treatment, both with acupuncture and herbs, to try to restore some balance and get my ovaries to behave themselves. I enjoyed (and continue to enjoy) Jo's treatments. The acupuncture is very relaxing and the herbs were palatable. It didn't take long for my cycle to return to a routine. Early this year my doctor told me that I would have to take fertility drugs (Clomid) to kick-start my ovaries if I wanted to get pregnant. Sceptical, I waited and stuck with Jo's treatments. In March I discovered that I was pregnant, completely naturally. My history of miscarriage meant that I was very nervous during the first twelve weeks of pregnancy, but seeing Jo once a week really helped. I took each week as it came and looked forward to each appointment. I am now 8 months pregnant, everything is going well, and I still see Jo. My pregnancy has been trouble-free (no morning sickness, swelling or aches and pains) and I'm sure that's down to regular treatments. Both my husband and I are incredibly grateful to Jo for all she has done for us, and are so pleased that we found her. I thoroughly recommend her to anyone who is in a similar situation to ours; she offers not just hope but real results. Four failed IUIs, two failed IVFs leading to succesful IVF treatment with acupuncture and relief of all pregnancy realted symptoms. I went to see Jo after four failed IUIs and two failed IVF cycles. The NHS believed I had unexplained infertility, the private clinic my partner and I had attended, believed I had a high natural killer cell count. My first appointment with Jo lasted for over an hour – longer than any appointment I had had with either the NHS or private clinic. Jo took a full medical history and listened to me. Over the next three months I saw Jo on a weekly basis. She prescribed herbs – which I have to say were disgusting – and I had weekly acupuncture sessions, which were very calming and relaxing. After three months my final NHS treatment commenced. I stopped taking the herbs but continued with the acupuncture. After three weeks the eggs I had produced were implanted. At this point I was at a very low ebb and was very despondent, believing that having a baby just wasn’t going to happen for me. The two week wait was a nightmare; however, the acupuncture and just talking to Jo made me feel slightly more positive and slightly calmer. Two weeks later, and much to my surprise and elation, I had a positive pregnancy test result. Jo had thought this was the case due to my pulses and had written it on my notes in code. For the nine months of my pregnancy Jo really looked after me, easing the aches and pains, the constipation, the bad back and my nerves. Nine months later I delivered a very beautiful baby girl. She is the love of my life and I cannot thank Jo enough for helping me realise my dream. After trying to conceive for over a year I started to research the benefits of acupuncture and available practitioners in the local area. I quickly narrowed down my search to Jo George at Life Rituals in Oakham based on her credentials and years of experience. When I met Jo for the first time I instantly felt a connection, which was really important to me due to the challenges of infertility being so personal and emotional. During our first session Jo asked questions that a western doctor would never have the time to ask, which helped to ensure the advice Jo gave me was personalised and not a ‘one size-fits all’ approach. Our discussions helped me to become more in tune with body and with the support of acupuncture and Chinese herbal medicine we were able to make positive changes to my monthly cycle. After 4 months of working with Jo I am very pleased to say that I fell pregnant and I am now into my second trimester. Liz - Life Rituals receptionist was always a welcoming face at the beginning of each appointment and provided a lovely personal touch. Jo and Liz, thank you for all of your support, I can’t recommend Life Rituals enough. Our sessions each week meant a great deal to me and made me feel like I was taking positive steps towards my fertility goals.